Investors interested in a solid investment choice with potential for estate planning in the future often gravitate toward precious metals, and gold in particular. Simply owning shares of gold, however, might not allow you to reap all the benefits of your investment. Take a closer look at the smartest ways to use and invest in gold as well as why gold is such a solid investment in today's market. What Makes Gold Such a Smart Investment? To begin, it is important that you understand what makes gold, and other precious metals like silver or platinum, worth buying in the first place. Gold has always been valued by varying cultures around the world, so it is unlikely that the long term heritage of its worth would dissipate any time soon. In addition, gold is not tied to any one currency, which offers a kind of security net for those worried about the collapse of one particular banking system or government. Gold can also be passed down from generation to generation, making it popular for those who want to include it within a trust or a life insurance wrapper so that their loved ones will be taken care of it in the future. Participating in a precious metals program like the one offered by Georgetown Trust can help to maximize your investment and keep it secure for years to come. The program coordinates large purchases of precious metals in bulk, which reduces the price significantly and helps you obtain more gold without spending more money. There is a minimal buy-in amount of $10,000 USD, which is relatively standard when it comes to taking advantage of bulk prices on investments like gold or silver. Once you've purchased gold coins or bars to provide you with financial security, the investing doesn't have to stop. Through a gold loan program, like the one that Georgetown Trust operate, you can leverage the value of your gold and invest in other things. Once the gold is securely stored in a Swiss facility, you can have a line of credit that extends to 75 percent of the market value of your gold. This frees up capital in a big way and keeps you liquid when necessary. Should your loan become larger than the value of your stored gold, the necessary amount can be sold in a quick and simple process. If you opt to invest in physical precious metals, how to store them should be a major concern. It is never wise to keep even a small amount of gold coins or bars in your home or place of work. Instead, store them in a secured facility like the one operated by Georgetown Trust. Located in Zurich, Switzerland, the facility is focused entirely on absolute security and privacy for its gold holders. 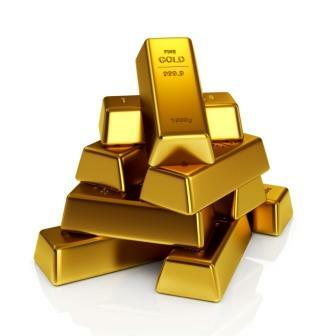 Investing in gold is a solid choice and a savvy option for individuals from around the world. Make the most of your gold, and your money, by utilizing these smart suggestions like bulk purchases, secure storage and borrowing against the value of your gold.